Courses like Saline, pronounced ‘Salin’ by the locals, somehow define Scotland, not just Scottish golf. The Cleish Hills provide the backdrop to the par 3 8th hole. Saline is a village in Fife, not far from Dunfermline. Its elevation on the western slopes of the Cleish Hills, mean that any visitor will get spectacular views of the Forth Valley estuary and river. However, for the great views, you have to work hard to walk to the top of the course, but it’s well worth it. The club was founded in 1912, but as the club’s own website admits there is virtually no history documented about the course and club development, which is clearly a shame. The village on the other hand, with a declining population, now around 1000, down from the almost 2000 in its heyday, has an interesting history as a weaving centre. It still has several listed weavers cottages, as a legacy to its former glory. The 1st at Saline, which gets the heart pumping from the first minute. The 9 hole course, was in fair condition when I played, along with my wife Fran. The fairways were lush and wide enough to allow for an errant drive or two, but the greens were a little bumpy, which could have been down to the amount of recent rain. There were some decent holes as well. The steeply uphill par 4 5th at 368 yards is a really tough 2 shots, where I suspect most will require driver and fairway wood to reach. The par 3 8th is a great short hole, against the backdrop of the Cleish Hills; it required much less club due to the drop and it’s better playing long due to the front bunkers. The golf club bar, acts as a community hub and social club, and from looking at the notice boards it was clear that the bar is an important part of the community. The welcome was extremely warm from the barman/host, and this alone would “hasten ye back”. 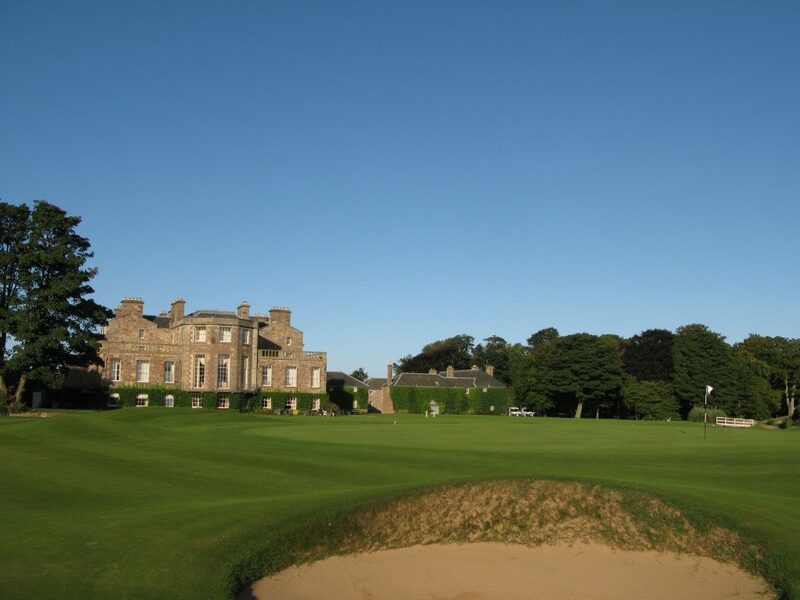 Nestled between Muirfield and North Berwick, and adjacent to the magnificent Renaissance, the Dirleton Links and Fidra Links courses form the golfing challenges of the Archerfield Estate, a development created by the Edinburgh businessman Kevin Doyle over the last 15 years. 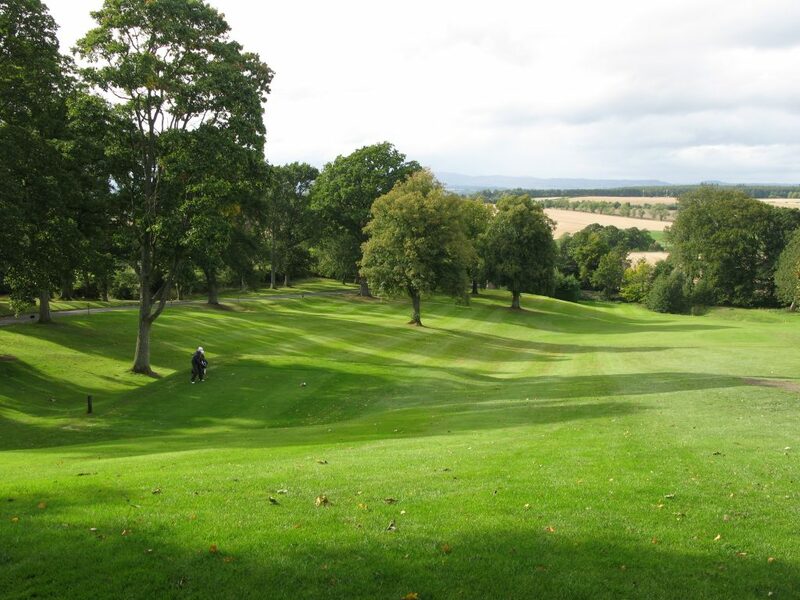 These additions strengthen the case that this East Lothian region is Scotland’s premier golfing destination. Read my Fidra Links blog here and my Renaissance blog here. The estate has a range of 5 star accommodation options, with the 17th Century, 16 bedroom, flagship Archerfield House being available to rent in part or in whole. With great accommodation, a quite superb Scandinavian inspired spa (I thoroughly recommend the Golfers Recover massage), and first rate practice facilities on offer, this is a world class golf resort on Edinburgh’s doorstep. Curiously, the clubhouse restaurant and bar is adorned with African art, giving it a colonial feel? The par 4 2nd, a typical hole at Dirleton, with the gorse surrounding the fairways. Whereas the meaning of “faux” is “made in imitation; artificial”. So is Dirleton Links a true links course? 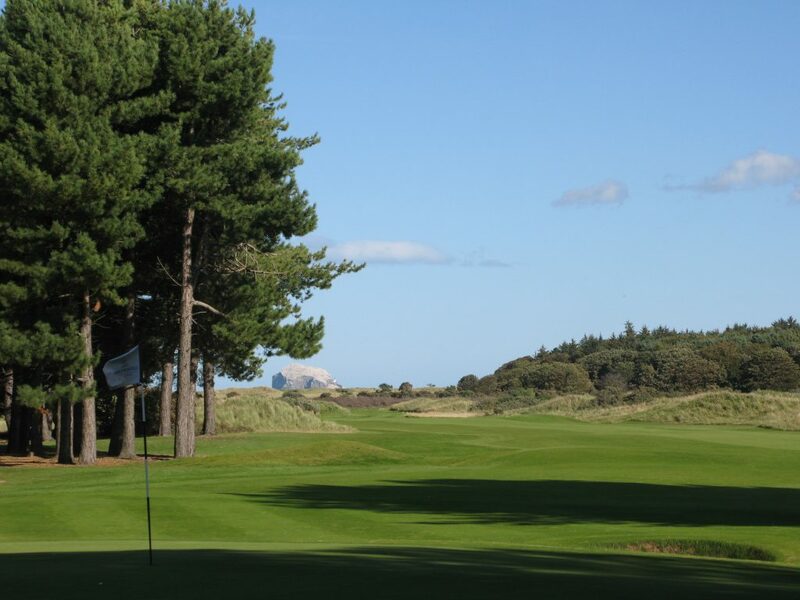 I think what has crept into the game is the thought that Gorse forms a key part of a links layout, and that is what the creator of Dirleton, David J Russell, has surrounded the course with. 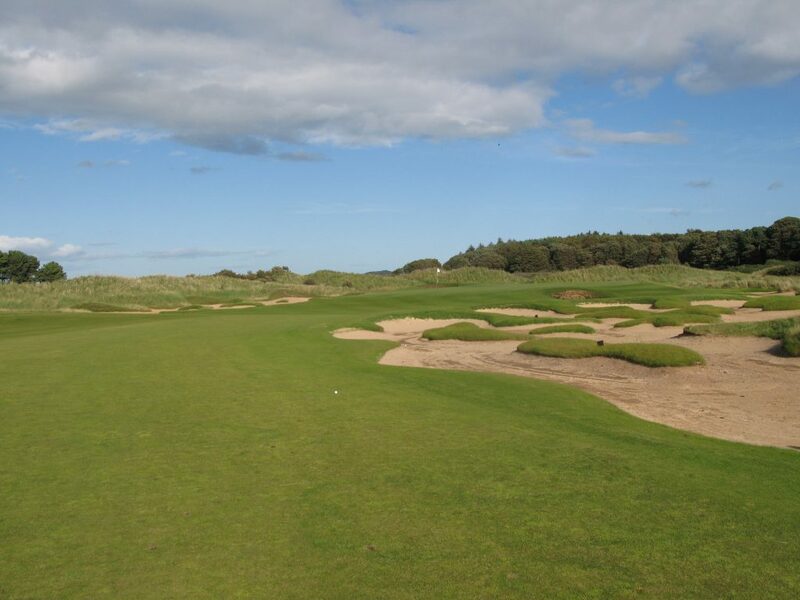 However, there is no sand dues to be seen, and I’m convinced that you could plant a fair few “Tatties” on those fairways. So for me, its not a real links, regardless of the course name. The Archerfield House behind the 7th green at Dirleton Links; which was rented out complete by 4 Americans, during our stay. 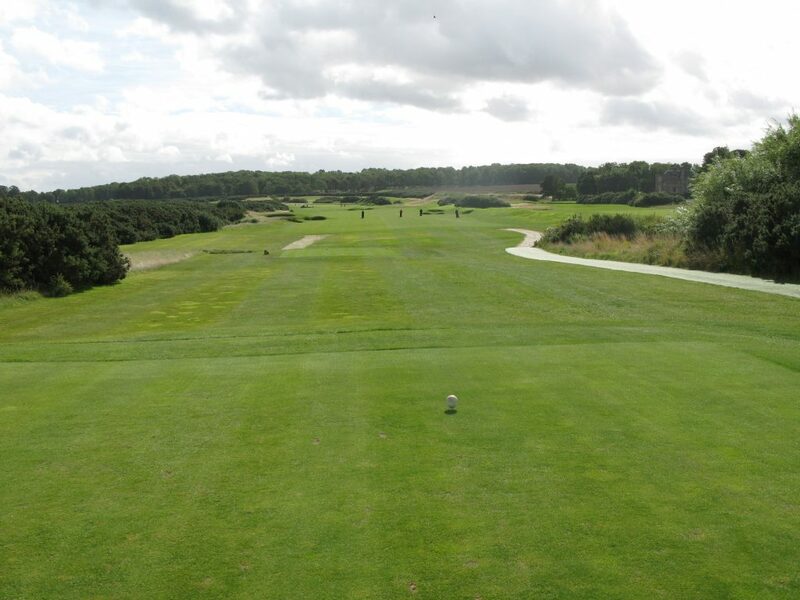 It’s a very traditional layout with both the outward and back 9s made up of 5 pars 4s, 2 pars 3s and 2 par 5s. 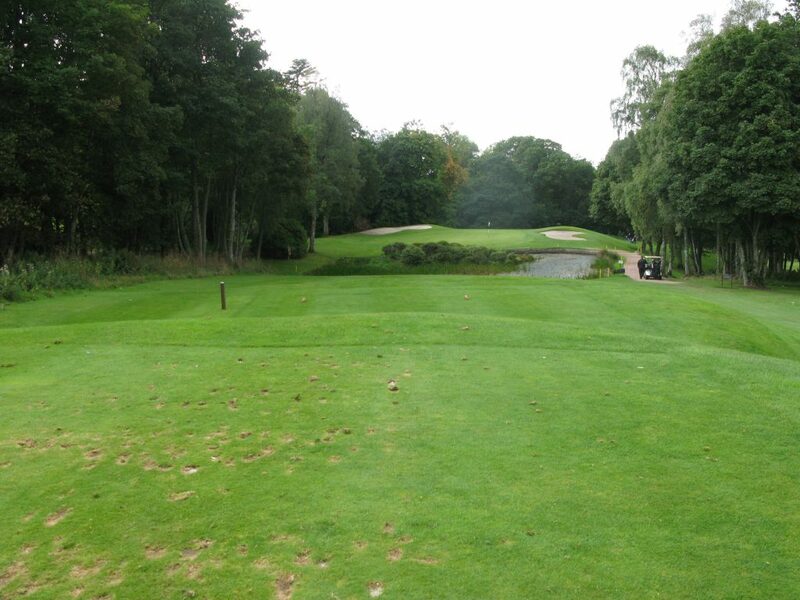 This is my favourite layout, and in addition there is a great mix of long and short par 4s. The course meanders around itself, so wind direction was always changing from hole to hole. It was one of those courses where the wind most often seemed to be against though! It was a very windy day – gusts of up to 45mph, which played havoc with both Fran and my scores. The fairway bunkers are really well positioned and force strategic decisions off the tee. Overall a course I would like to take my A game to. It’s not cheap; membership via a debenture costs about £30,000, then around £3,000 annual fees. But, you do get your shoes cleaned and don’t need to worry about paying for range balls. You can have a “golf experience day” (price unknown), or as I did pay a £90 green fee as an accommodation occupant; I suspect many golfers play both courses either side of a single night B&B stay, which costs about £500; not bad for a short of this quality. The clubhouse food is pretty good too, and not overpriced. One of the benefits of the fee was a superb course planner, which was included, illustrated by Kenneth Reed FRSA. 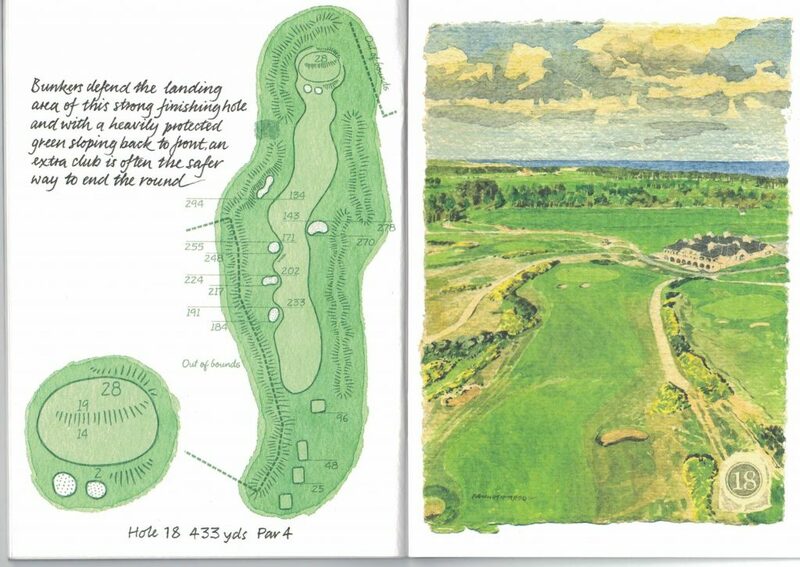 The wonderful course planner at Archerfield’s Dirleton Links, illustrated by Kenneth Reed FRSA. 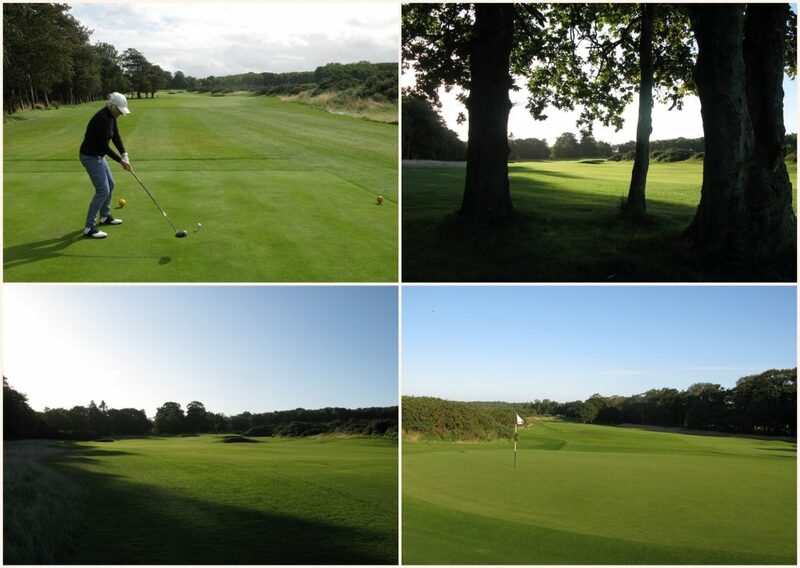 If you can afford it, its worth staying and playing at Archerfield. Plus, whether a “Faux” or real Links, its a great course. 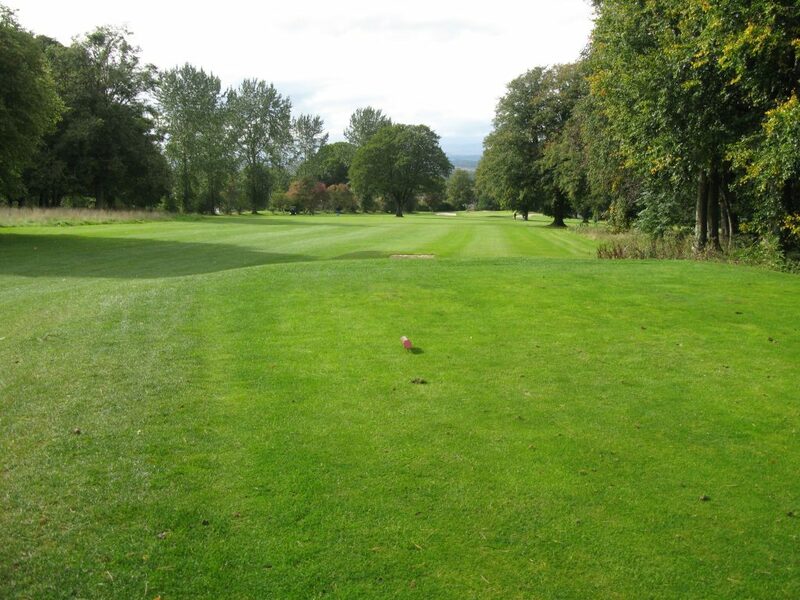 Superbly designed course that could be considered any of links, parkland or woodland! The 1st at Fidra Links, very typical of the first 11 holes. 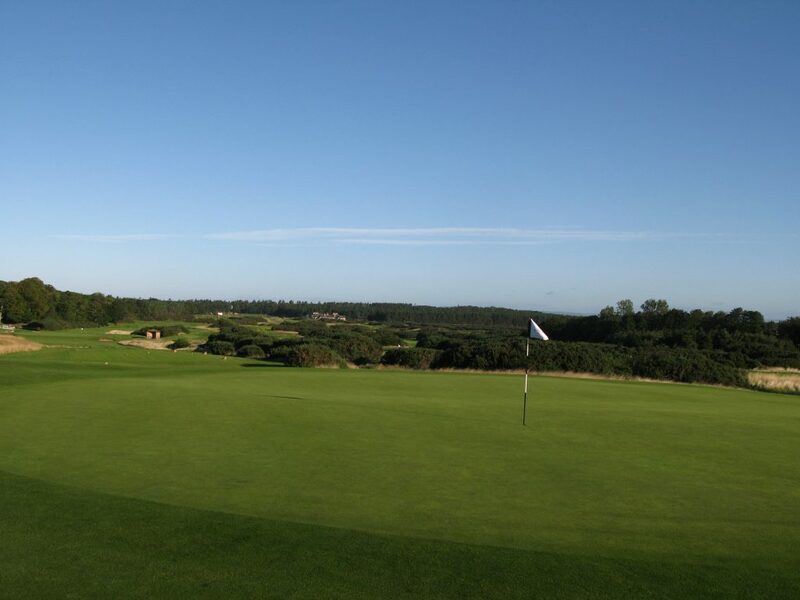 Fidra Links is one of the two courses on the Archerfield Estate, a golf centred development created by the Edinburgh businessman Kevin Doyle over the last 15 years. The estate has a range of 5 star accommodation options, with the 17th Century, 16 bedroom, flagship Archerfield House being available to rent in part or in whole. When my wife and I stayed in a nearby “Pavilion Suite”, we were politely refused entry to Archerfield House by a Concierge, as we weren’t one of the 4 Americans that had rented it for the week. 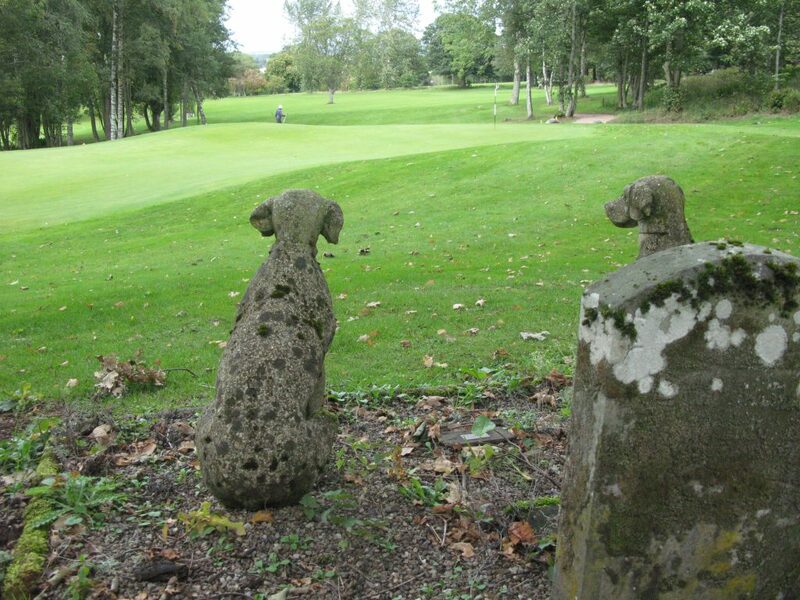 Get the picture – know your place amongst the clientele of “Scottish” golf these days. Seriously though, with great accommodation, a quite superb Scandinavian inspired spa, and first rate practice facilities on offer, this is a world class golf resort on Edinburgh’s doorstep. Curiously, the clubhouse restaurant and bar is adorned with African art, giving it a colonial feel? 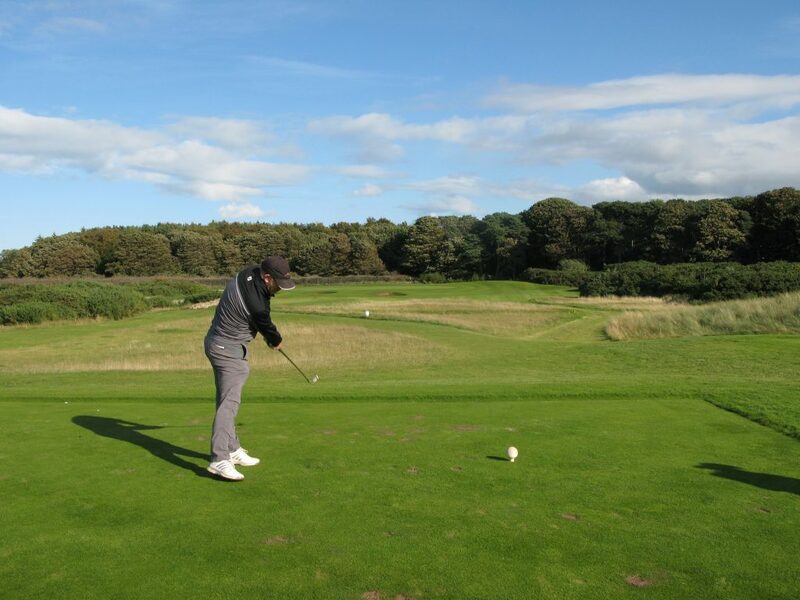 Nestled between Muirfield and North Berwick, and adjacent to the magnificent Renaissance, Fidra Links and Dirleton Links (the other Archerfield course) strengthen the case that this East Lothian region is Scotland’s premier golfing destination. The approach to the 12th has plenty sand awaiting. It’s not cheap though; membership via a debenture costs about £30,000, then around £3,000 annual fees. But, you do get your shoes cleaned and don’t need to worry about paying for range balls. 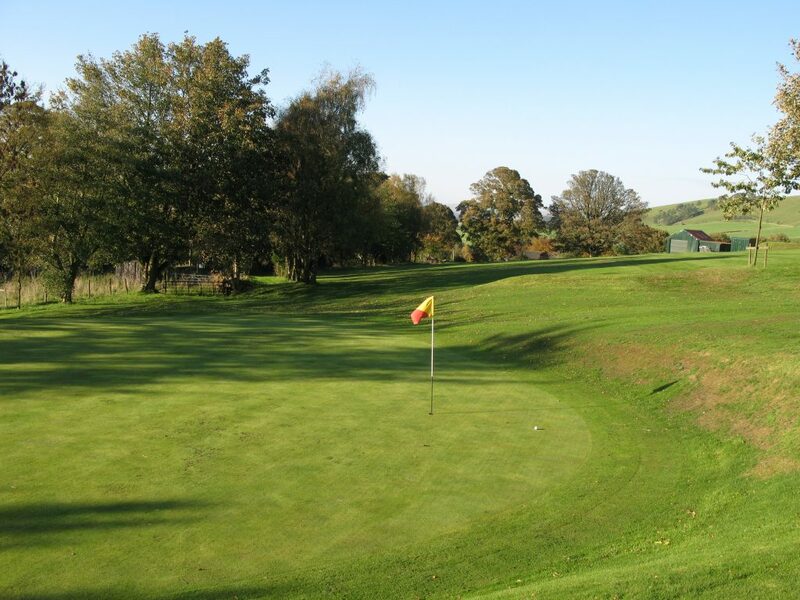 You can have a “golf experience day” (price unknown), or as I did pay a £90 green fee as an accommodation occupant; I suspect many golfers play both courses either side of a single night B&B stay, which costs about £500; not bad for a short break of this quality. The clubhouse food is pretty good too, and not overpriced. 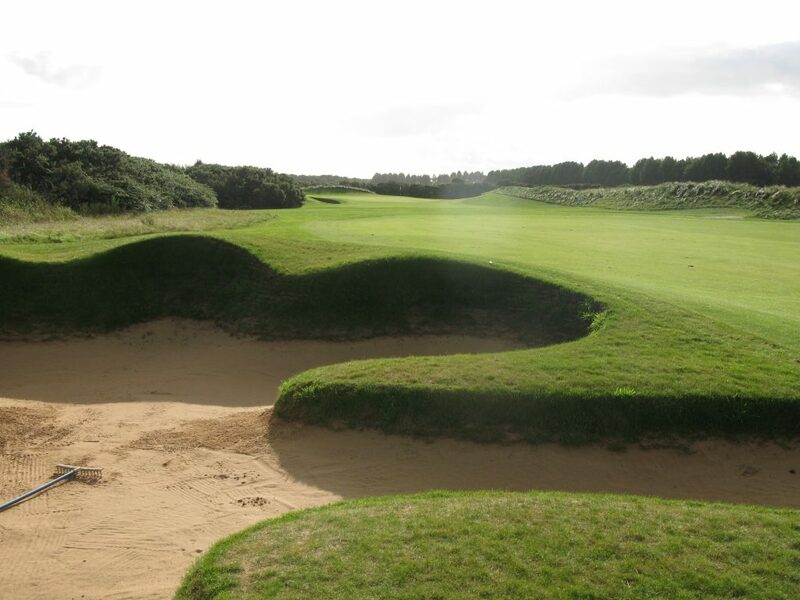 Moly plays straight at the par 3 12th at Fidra Links – straight into the front bunker that is! Fidra “Links” is a beautifully laid out design by architect David J Russell, who has created a great mix of parkland, woodland and links! 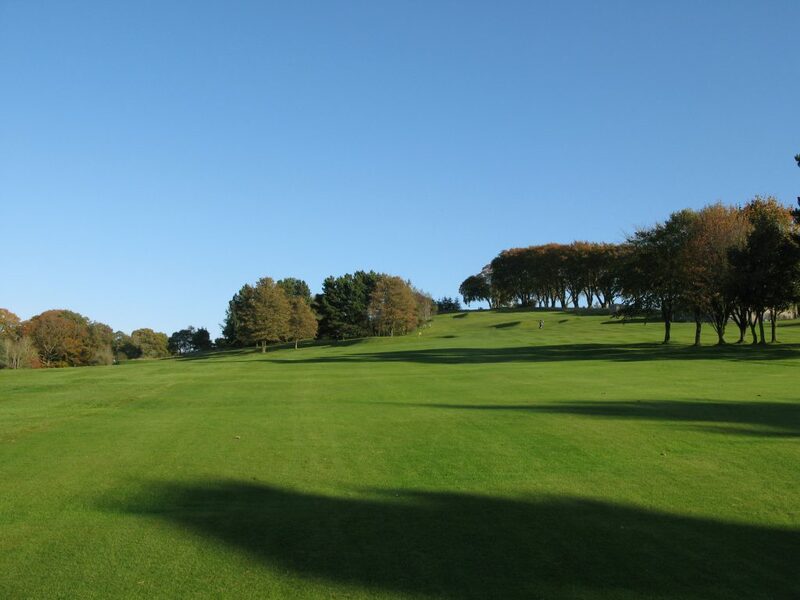 It may well be the most tree lined course adjacent to the sea in Scotland; I really don’t know how you would classify it. 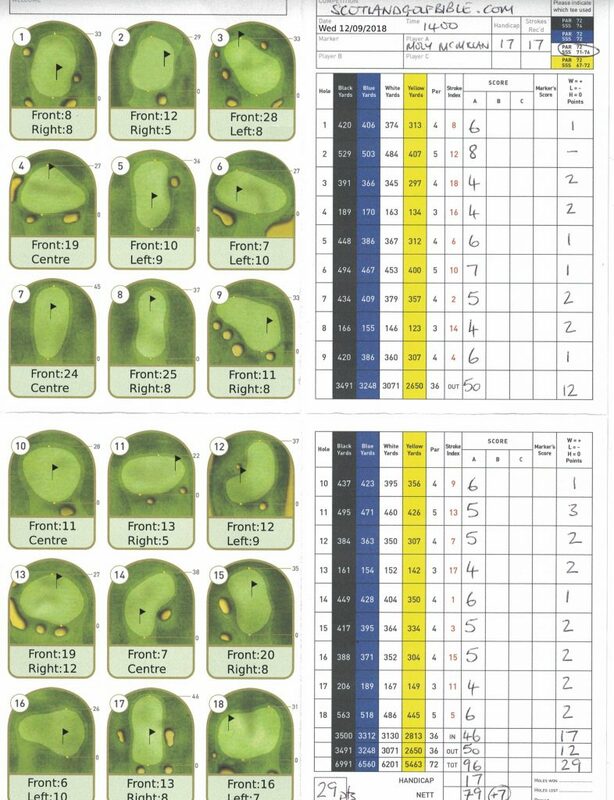 The first 11 holes are pine forest protected, with the last 7 holes being the “faux” links holes open to the elements. The bunkering is often fierce, the greens are large and tricky, and with constant changes of direction, it’s difficult to get an easy couple of holes together, especially if the wind is up as it was for us. The trees are fairly open at times with the pine undergrowth meaning balls are relatively easy to find, which is a big bonus with my wayward driving game. The course condition was excellent, as one would expect, and if you were to find any lost balls they are unlikely to be scuffed Top-Fight’s. Finding good golf balls, especially by having to crawl though thorny bushes, is one of the guilty pleasures in my life! It was actually more difficult to find the next tee at Fidra, than lost balls, as apparently Mr Dolye doesn’t like signage? That was my main criticism of the course, as well as the tee options. There are some great golf holes here. The SI 2, par 4, 7th hole, is a slight dog leg left, where only a tee shot on the right of the fairway, can avoid having to hit over 2 prominent trees about 50 yards short of the green. The short par 4 12th has magnificent bunkering awaiting a pushed second. The 14th, into the prevailing wind was well worth the SI1 tag. The fairway bunker on 15 at Fidra is a typical and well constructed feature. 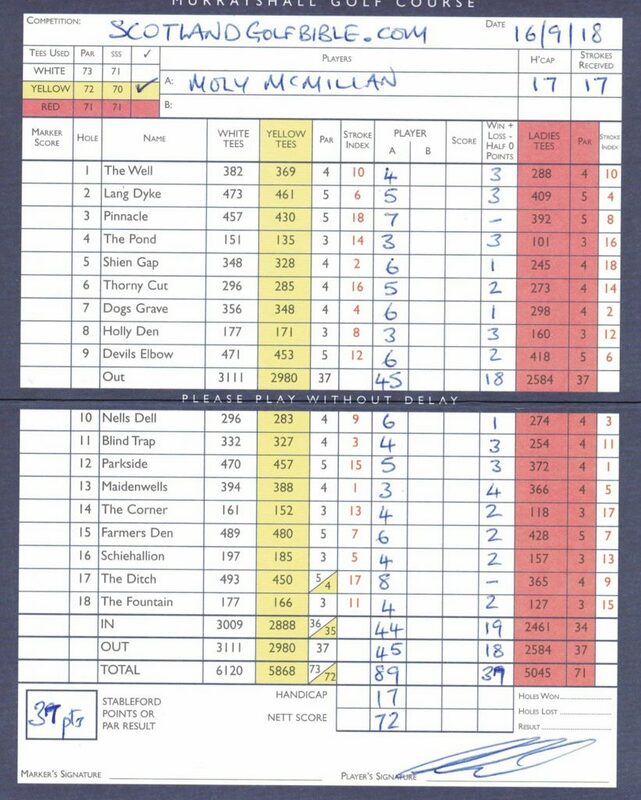 It wasn’t long from the yellow tee (5463 yards), but with 4 tee options to choose, I played off the white at 6201 yards, and felt I played really well for my 96 and 29 stableford points. Disappointingly, there were no red tees, the traditional colour used for ladies, which given the current debate about encouraging women to play, didn’t make any sense to me! 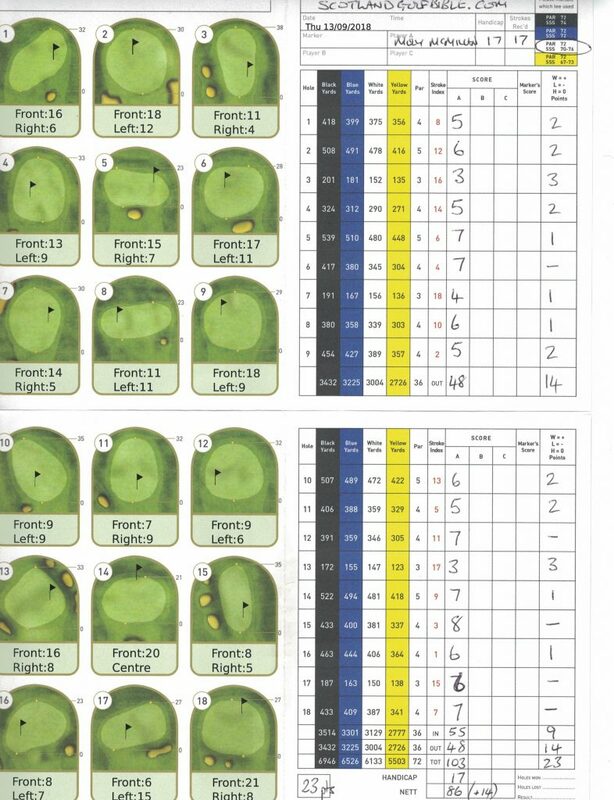 The card was though very instructive (see below) as it was printed daily with the pin positions! 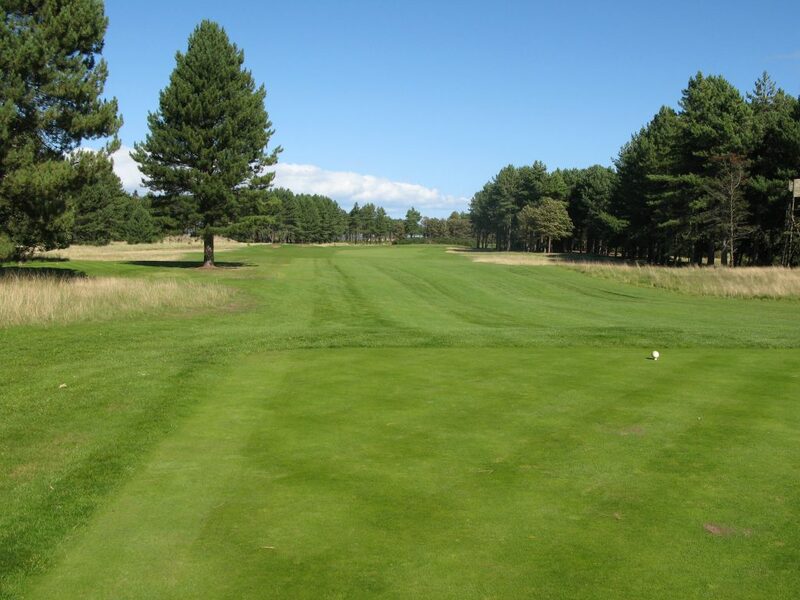 If you can afford it, its worth staying and playing at Archerfield. If you do, I recommend you also splash out on the Golfer’s recovery massage – I didn’t know I had so many knots in my back! 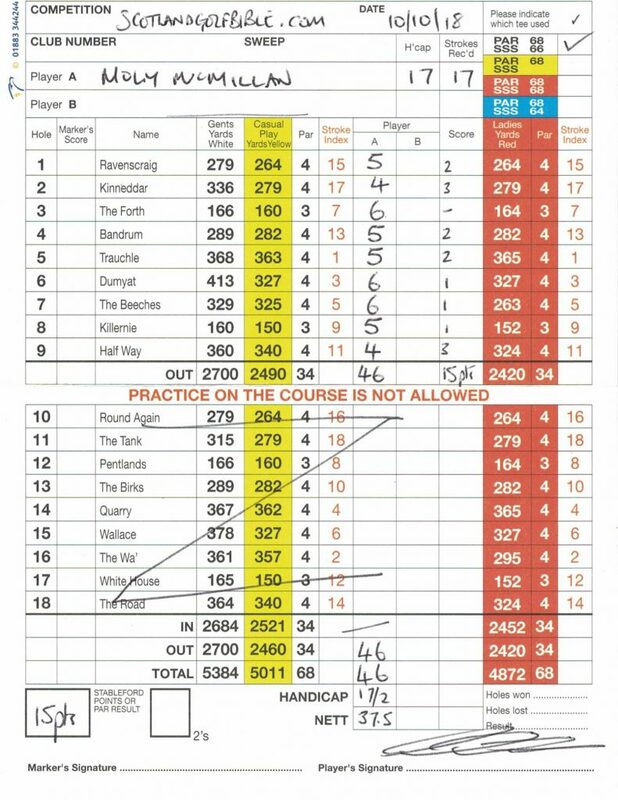 The daily printed scorecard at Archerfield’s Fidra Links – Moly shot 96.